Dr. Laura Hayman, PHD, RN, FPCNA, FAAN is Professor of Nursing at UMass Boston. 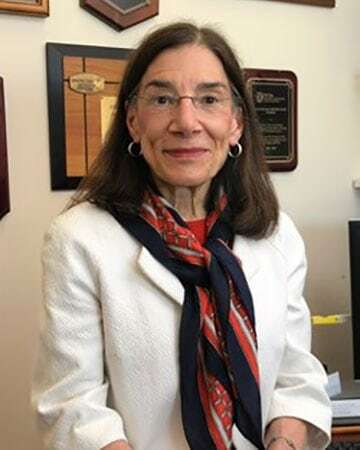 She is also an Adjunct Professor of Medicine, Division of Preventive and Behavioral Medicine, Department of Quantitative Health Sciences, UMass Medical School. Dr. Hayman earned her BSN, MSN, and PhD at the University of Pennsylvania. Her program of research and scholarship has focused on primary prevention of obesity and risk for cardiovascular disease (CVD) in children, adolescents and families from diverse populations. Her current interdisciplinary projects combine clinical and community-based approaches designed to promote healthy lifestyle behaviors and reduce risk for obesity and cardiometabolic disease in children, adolescents and families and community-based research designed to reduce health disparities and promote health equity. Dr. Hayman has served on numerous national and international interdisciplinary advisory and expert panels relevant to primary prevention of obesity and CVD in childhood and adolescence. Dr. Hayman serves on the editorial boards of the Journal of Cardiovascular Nursing, and MCN: The American Journal of Maternal-Child Nursing. She is a past president of the Society of Behavioral Medicine (SBM) and a member of the Society’s Health Policy Committee. Dr. Hayman has also served in leadership roles in the American Heart Association (AHA). Currently, she serves on AHA’s International Committee and the Leadership committee, Council on Cardiovascular and Stroke Nursing. She holds fellowships in SBM, AHA, the American Academy of Nursing, the Academy of Behavioral Medicine Research and PCNA. She has been a member of the PCNA Board of Directors since 1997, served as president, 2006-2007, and currently chairs the International Committee.